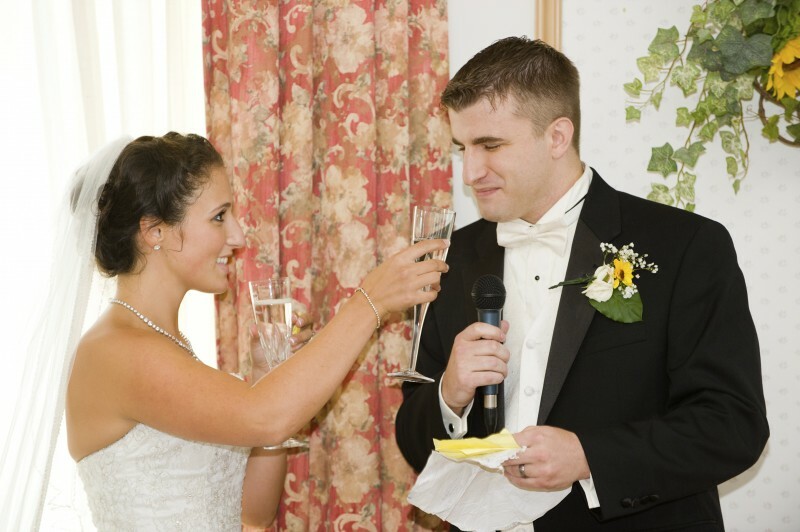 Traditionally, it was always the groom who was responsible for the speech whilst the bride would sit back and enjoy the proceedings, but these days a bride speech is just as common, and it usually comes after the groom and the best man have finished their speeches. Tell your groom how happy he makes you and the ways in which he has altered your life for the better. Thank him for making you the happiest bride in the world. Even a light hearted bride speech should include a section about your feelings for your new husband. You can say a bit about your thoughts and feelings on love and marriage, or being a wife, and you can always choose a funny poem about husbands and wives if you can’t find the words yourself. 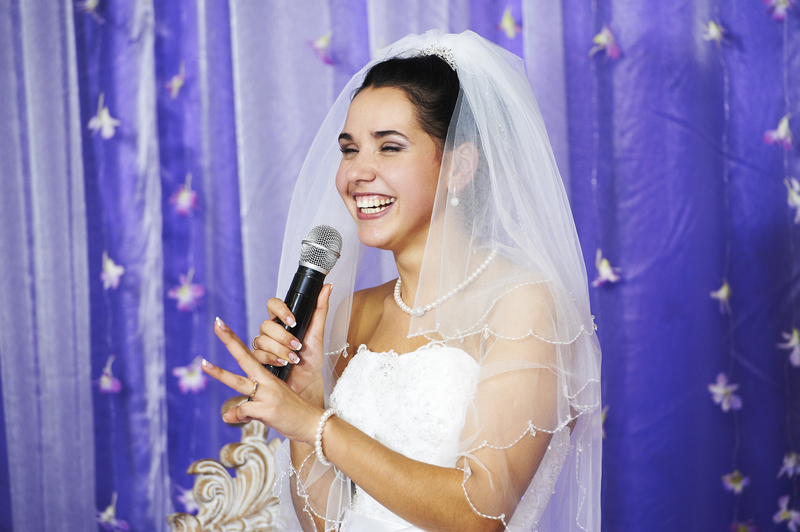 Humorous stories are great in a bride’s speech, but leave the excruciating anecdotes for the best man’s speech. You could talk about how the two of you met, when you know he was the one, or when he asked you to marry him. You could also tell a humorous story from the engagement party or the run up to the wedding. Thank the groom’s mum and dad for welcoming you into their family and promise them that you will take good care of their son. Thank guests that have made a specific contribution to the wedding, for example a friend that has made the bridesmaids outfits, helped you with the wedding decorations or accompanied you on those endless shopping trips. Thank all your guests for coming and for their kind wedding presents. You could also thank them for making the effort to look so elegant. Thank guests that have travelled from far away to be with you on your special day. If you only have a few of these guests you could mention them by name, but if you have a lot just mention some of the places that guests have travelled from. Mention those that couldn’t make it to the wedding, and if it is because of something positive such as they’ve just had a baby, make sure you share the good news with everyone present. Every speech should end with a toast and the bride’s speech is no different. As you will be the last to speak, you will probably have to wait and see who has been toasted already. It’s a good idea to toast your new husband, even if this has been done before, otherwise you can just raise a general toast to all of your guests and everyone that has helped out with the big day.